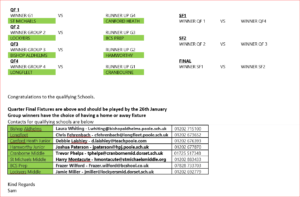 Please see results of leagues below and quarter final qualifiers. Good Luck ! PEDSSA runs representative teams at U11 , U13 and u14. Many of these players go on to play for County teams.